Today's man may know how to dress with style, but does he know how to behave? Though the rules of civility have changed along with the world, Men and Manners: Essays, Advice and Considerations believes in manners. This book doesn't tell you which fork to use or how to write a thank you note. But it is going to remind you of basic, respectful rules you may have forgotten or have chosen to ignore. Comprised of short essays, shorter interviews, and lists of guidelines for men of all ages, this provides an honest, playful, and humorous look at the conflicted state of manners today. Interviews with fashionable men reveal their hard and fast rules, pet peeves and grievances, personal fiascos, and lingering doubts about etiquette. Subjects that may fluster today's man-such as tipping, toasting, texting, grooming, dating, dressing for air travel, office behavior, and home decor-are explored with the trademark combination of dry wit and self-deprecating attitude that has made David Coggins one of the most well-respected men's style writers today. 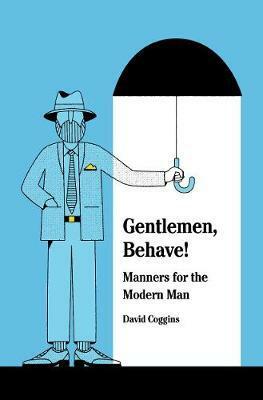 With humorous illustrations and contributions from modern male style icons, Men and Manners makes the case for being the man who offers the best seat to his companion, who knows when to pick up the tab, and who remembers to do what's right even if it isn't always rewarded. Can I Sit on Your Lap While You're Pooping? David Coggins is the author of the New York Times bestseller Men and Style. He has written about style, design, and manners for numerous publications, including Esquire and the Wall Street Journal. He is a contributing editor at Conde Nast Traveler and lives in New York City.